STEM3 Academy is the newest member of The Help Group, a Los Angeles-based non-profit organization focused on children and young adults diagnosed with ADHD, developmental delays, abuse, learning disabilities, autism, and emotional problems. It is a pioneering project open fortech-driven, bright grade six-twelve students with learning disabilities, reads its official website. 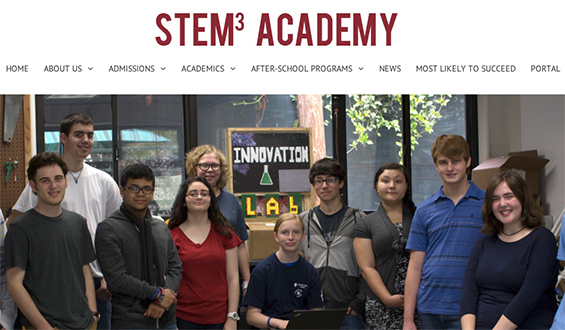 STEM3 Academy’s students have access to a modern lab equipped with 3-D printer tools, a CNC machine, electronics and various other resources to help students apply knowledge to real-world scenarios. The school also offersclasses in robotics, entrepreneurship, software development and programming, notes Kathryn Blackhurst of The Blaze. The learning process is based on group work to improve students’ social skills and interaction. STEM3′s curriculum is not limited to subjects like math and science, writes Parija Kavilanz of the CNN. It also includes arts, English, languages and more. Currently, the school has 60 students, and interest is rising. More than one-third of the students are placed by a district program which covers the tuition fee, which amounts to about $35,000. A survey conducted among 11,000 students nationwide found thatyoung people with autism spectrum disorder chose STEM majors in college more frequently than their peers – 34 percent versus 23 percent, writes Cathaleen Chen of The Christian Science Monitor. The same study also concluded that they are much less likely to attend college than their peers, which raises questions about boosting STEM education among these students.